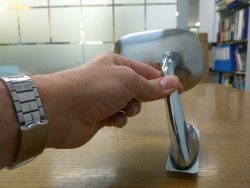 Last weekend I was presented with an opportunity to buy a right hand door mirror – otherwise known as unicorn poo. If you have tried to locate one you know how difficult they are to track down. It was the very first item I started searching for when I bought my car in 2014 and I thought I had finally cracked it! Sadly the listing was misleading and the mirror I bought was for the left hand side. It did teach me a bit about the differences in right hand and left had mirrors though and I’d like to share that with you. Here is the mirror I bought. Don’t be be confused by the mirror part being angled for the RH side. I did that thinking it was a RH mirror. 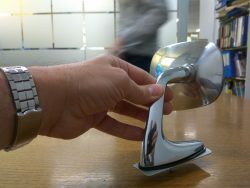 It can swivel all the way around to it’s correct LH side position. The main difference I’ve realised is the stalk angle to it’s base. Looking at the mirror face, the RH one leans to the left (towards the car) and the LH one leans to the right (again, towards the car). 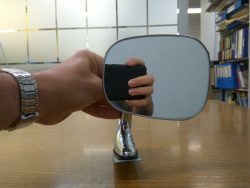 The mirror head swivel is a clever design if only the stalk was 90 degrees to the base. Sadly they deemed it important to design it at a different angle and cursed us all to waste our time searching for unicorn poo. 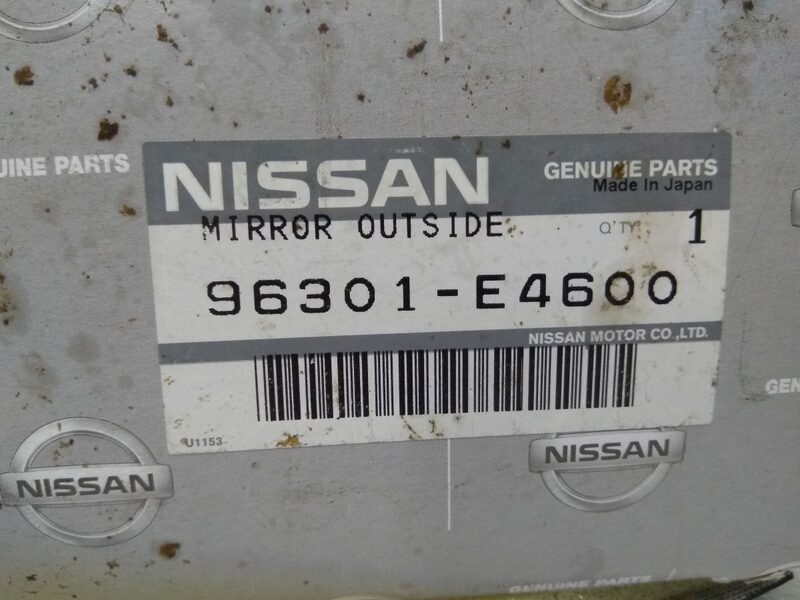 This mirror is part number 96301-E4600 as per the box. 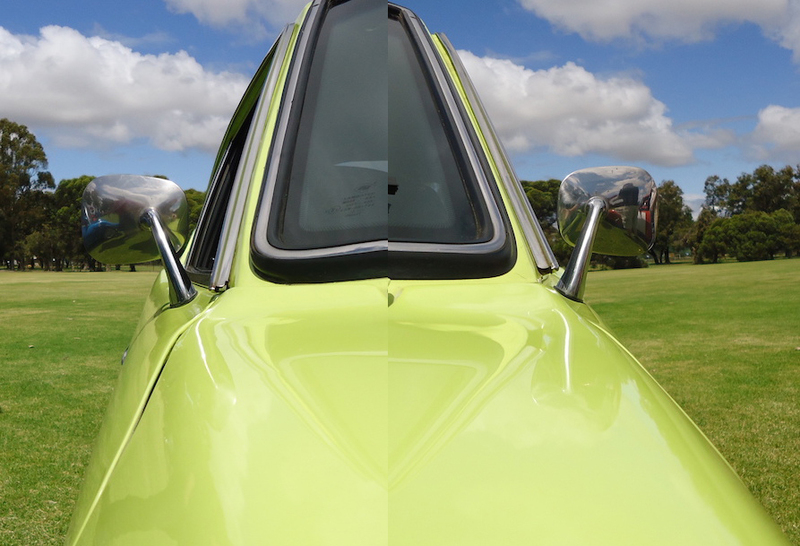 A quick Google search will take you to a variety of US LH side mirrors. After some digging around I found the Australian RH door part number is actually 96302-E8800 but good luck finding that. 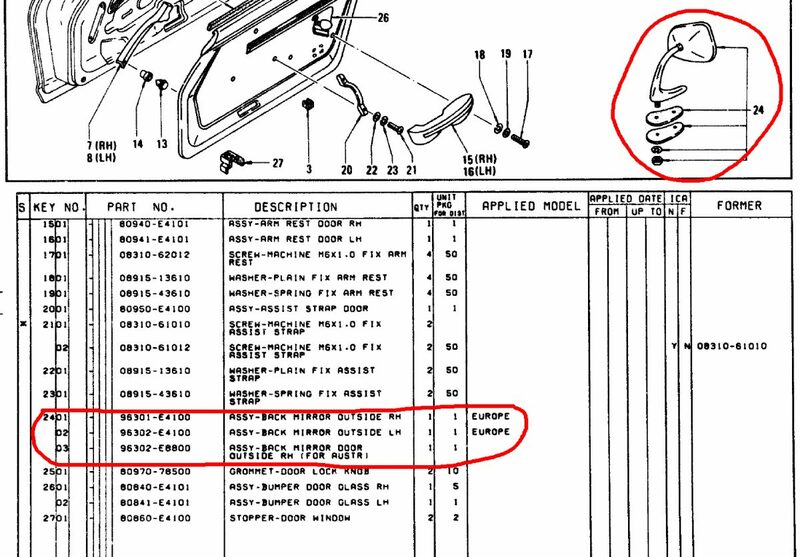 Part 96301-E4100 is the Europe equivalent right hand side mirror and 96302-E4100 for the left hand side. Here are a couple of helpful photos with what looks like correct mirrors on correct sides. Note the stalk to base lean angles (bend your head to the base horizontal and it becomes obvious). Finally, here is a photo from a friend of mine who has both stalks. The difference is clear. 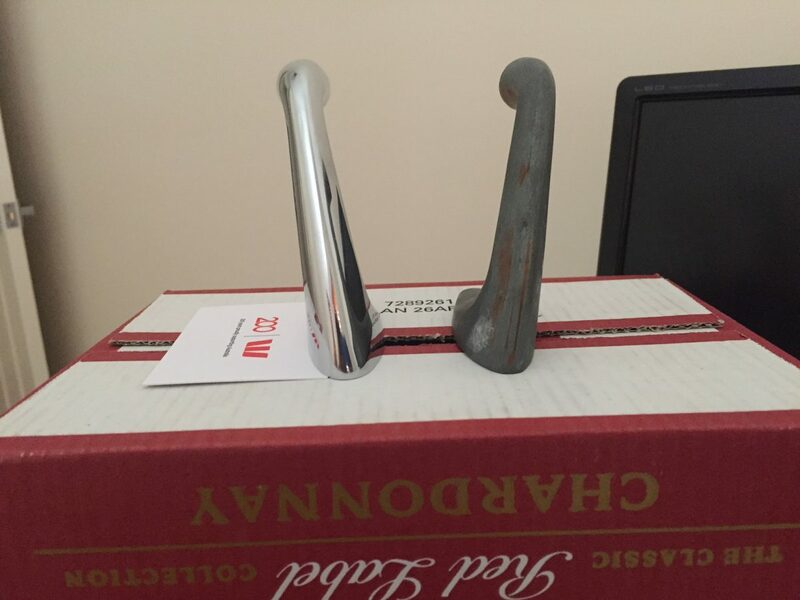 The one with the chrome plating is a left hand side one he purchased from the US and the non-plated one is his original mirror. I personally don’t see too much of an issue with the LH mirror on the RH side other than a possibly slightly odd viewing angle. Of course, there’s also that OCD thing bugging me so the mirror is going back and the search continues.